Let's face it, no party is complete with out some fancy signage. These are great additions to our bridal shower freebie week that includes, recipe cards, menu, and table numbers. 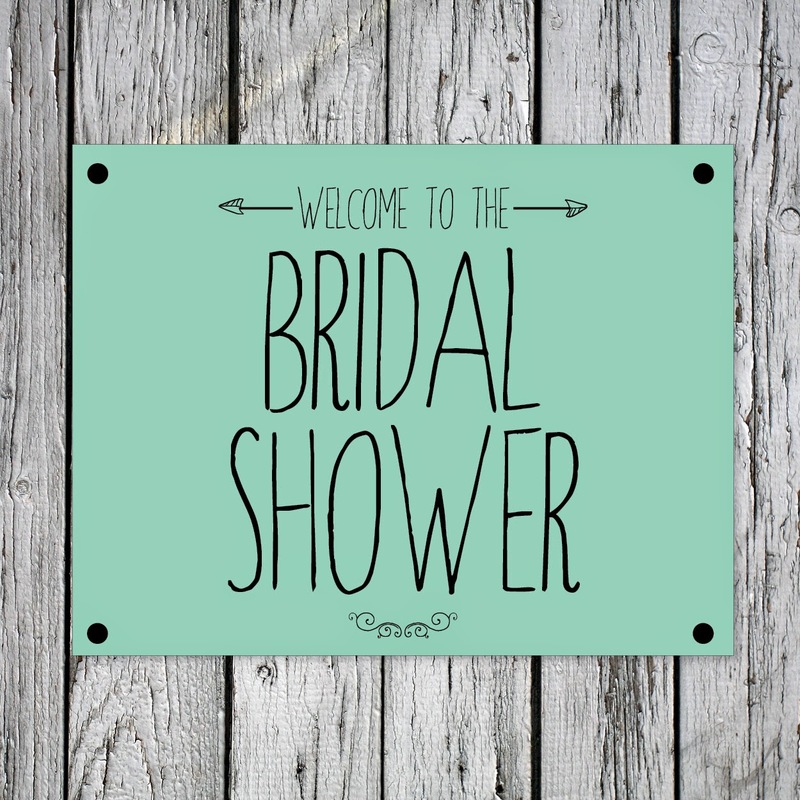 This Welcome to the Bridal Shower sign would look wonderful on a door welcoming guests as they arrive. 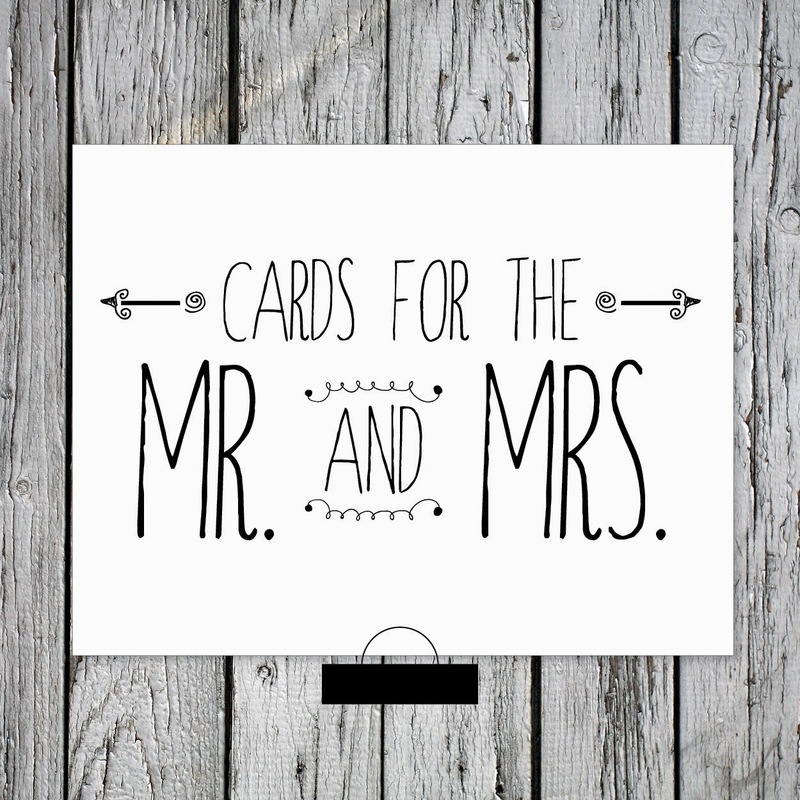 Add this Cards for the Mr. and Mrs. sign to the gift table along with a cute basket. The PDF includes a white, mint and pink version. Or try printing the white version on colored paper stock to add your own personal touch. 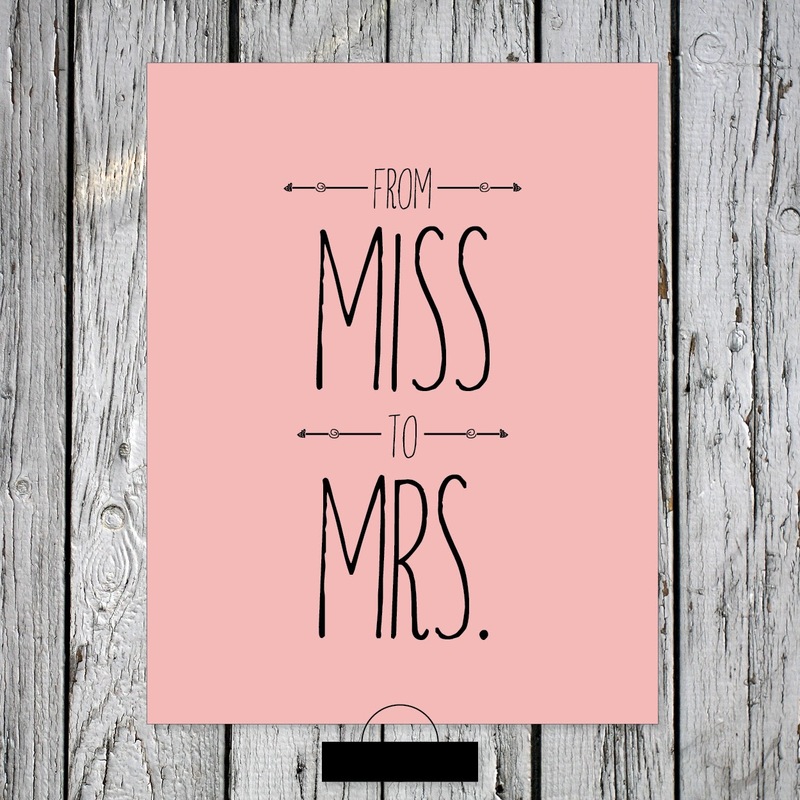 One final touch would be to add this From Miss to Mrs. sign to the back of the bride's chair. Punch some holes in the corner and add a ribbon and you have yourself a fancy looking royal chair. 1. Print on 8.5” x 11” cardstock. 2. Cut using a ruler and scissors or X-Acto knife. 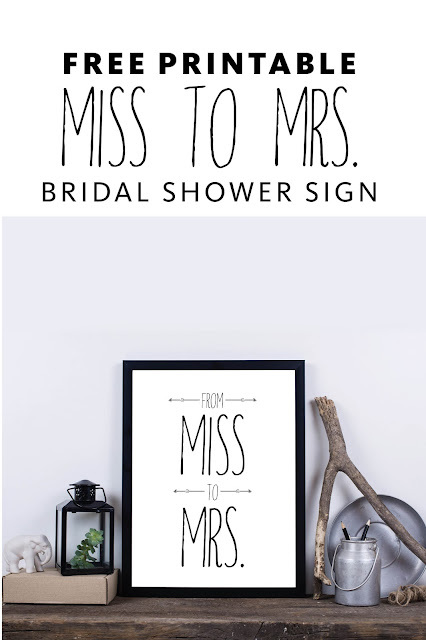 Keep a look out tomorrow we will share some final bridal shower freebies. We are always adding bridal shower invitations and decor to the shop, or if you have a unique party idea and need some help with stationery we love to take custom requests. © Larissa Kay Designs ❤ www.larissakaydesigns.com ❤ For personal use only.